Okay, I have no idea what I just read. This review is going to go so well, can’t you tell? 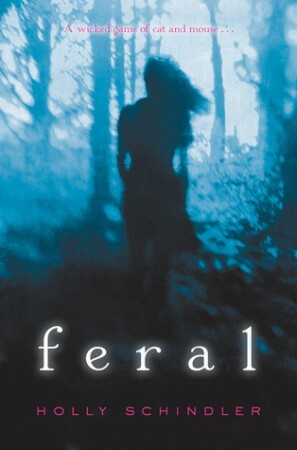 I was expecting Feral to be a fun murder mystery (what?! They can be fun) but instead it delved into weird paranormal crap that I didn’t enjoy at all. I can enjoy a good paranormal, sure, but not at the sacrifice to the plot. What was the plot? We just don’t know. Something about cats and also a murder but the murder wasn’t really the focus because the main character had a cat?! Or something. The main character, Claire, was bloody strange. Seriously, she had no consistent personality and her thought process was all over the place. Call me a hypocrite, but I couldn’t follow what she was thinking at all. It really sucked away from the already ~out there~ storyline because I had trouble following anything. It is said that this book is The Lovely Bones meets Black Swan, and, well, I haven’t seen the latter but I wouldn’t liken Feral to The Lovely Bones at all. Just… no. To conclude, I have no idea what went down in this book but it certainly wasn’t a murder mystery like I wanted. I’ve been looking forward to reading this one because I thought the same as you. I thought it would be a fun murder mystery…but the plot (or should I say, lack of plot) seems rather terrible…I might have to give this one a miss.